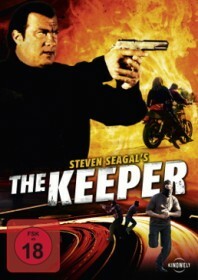 Another delusional film from Seagal‘s instantly forgettable straight-to-DVD canon. He is recruited by a powerful Texas oil tycoon to protect his nightclubbing daughter. Despite apparently being the inspiration for anyone wanting to join a SWAT team, Seagal’s ex-cop still manages to lose the girl to Daddy’s mining rivals. Cue an onslaught of knife throwing and head breaking in much the same way he always does.